A listing with summaries of the various blog postings that we've put on the Onega website over time for easy reference to some intereting articles. We written quite a few blog posts on different subjects so this is an index to allow for easy reference to interesting articles. Newest are at the top. Enroute to our excellent Christmas dinner in one of the Disappearing Dining Club's pop up restaurants we tested our problem solving skills with a cryptic treasure hunt around the city of London. Gallery and report here. We were delighted to be invited to Krunal and Sejal's wedding recently which was a most grand celebration and we wish them the best of happiness for their future together. We share photos of the wedding and the happy couple. 'The Cloud' is one of the most used buzzwords of modern times, but what exactly is it? We get asked this a lot so we thought we'd best answer it.. Discover the three words that demystify the term and also Onega's commentary that not all cloud is built equal. It is very hard to combat complacency in all walks. We look at the issue and some solutions, as well as illustrating some of the differences between two obstensively different solutions to the same challenge. Somehow we get from the difference between a cheap laptop and a not so cheap one to how to look after nuclear assets securely; via a couple of amusing videos on the way.. In this post on security, we look at some of the scams around at the moment so that you can understand how these work and what to look out for so that you don't fall for them. In typical Onega blog post style we then digress and at the risk of pontification offer more advice on how to keep yourself online with reminders on basic security matters. We start to examine some technical limitations of the MS Exchange email system when it comes to mobile devices, then look at some of the useful functions that Exchange integration with your smartphone allows but could well have been long forgotten. In the second part of the post we segue to consider productivity, focus and reducing the number of distraction traps around us in day to day working life. If getting things done is high on your list then the latter past of the post is worth reading even if the first technical part is not directly relevant to you. Onega Authorised to sell Microsoft Surface Computer Range. Having come from a technology demonstrator designed to show manufacturers what can be done with modern computer systems and breaking the traditional laptop mould without sacrificing productivity; the Surface range has gone on to be a very successful series of computers in its own right. We look at and discuss the Surface and some of its competitors and what might be right for you. 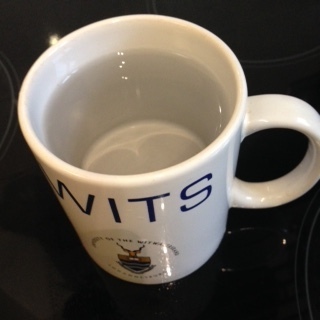 Onega have been taking part in the H2Only challenge in aid of the RNLI and depriving ourselves of tea / coffee / alcohol and carbonated / dehydrated drinks for a month. See how we did on the fundraising side now that the challenge is ended. Did you know that the first electric taxis were introduced to London in 1897 though due to 'teething issues' like catching fire they did not take hold. Fast forward to current day and electric cars are back in vogue, and what's more the electricity will also be driving the taxi soon. For a brief history of the London Taxi and for insight of what is to come in transport as well as wider areas of life with threats and opportunities, check out the full post. Water, water, everywhere, it's all we have to drink. An update on how we're doing on the RNLI H2Only Challenge. We're going to be participating in the RNLI's H2Only challenge in the name of good health and charity. Full details and background in the post here. What3Words - A Unique Address for Everywhere on the Planet. How did early 1980's computer game innovation lead to the definative postal addressing system in Mongolia? What3words is something useful that we've come across which made us ponder 'why has no one thought of this before'. How will you use it? How Did That Happen? I Just Bought a Late Soviet Era Water Tower in Latvia. Midlife Crisis? Nonsense! We really don’t know what you’re talking about. True, this year Ben has conquered the Cresta run, flown in a Spitfire and somehow acquired this fine structure; but surely this is all just an average year for a Fitzgerald-O’Connor? Read on and decide for yourself. If you are the owner of a .CO.UK domain then you have first dibs to the .UK equivalent. We dabbled in the domain waters recently and avoided a dispute on a domain. Commentary and learnings here. Running the numbers: Longplayer on CD, Vinyl, Cassette boxsets. Have you updated your TPS and FPS registrations recently? Insource, OutSource, Co-Source or Tomato Sauce? Time for a new Bigfoot? We should probably do a word count across all our blog posts as there's probably a book's worth in here.. While we're here - not a blog post, but sometimes we find items on our credit card bill that we don't recognise and don't find it easy to Google them. Thus we've put a page up at https://www.onega.net/what-is-evl-web-3d-secure-on-my-credit-card-statement to help on this.